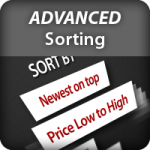 Enables store customer to apply multiple values of the same filter criteria. 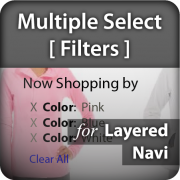 Extension has no admin configuration, it just works, visually layered navigation does not change, only behavior differs: when store customer chooses one filter item by clicking it, catalog is filtered by chosen item; after applying filter store customer still has possibility to choose and apply other item of the same filter. So you give store customer possibility to apply as many items of the same filter as he likes. This extension is compatible with the Magento version 1.4.2 and later. Magento has made some changes to the Catalogsearch in 1.9.3.7. It braked the Mana functionality. I've updated the Mana extension and it works again. Thank you guys to keep this extension up to date. Compiling did the trick for us. Works like it should! It's easy to install or to dissable functionality. Nice support even for a free extension. Great. Works perfect, I did have to refresh indexing before it worked. It works exactly as described and the support was superb. Which means even more when you take into account that this is a free extension. The extension work perfectly. I had a little problem but the customer support fixed it straight away: Quick, efficient, polite. Thank you... Highly recommendable. It didn't work first time so I emailed the company. They replied in less than one hour, had a look at my installation, recommended a couple of things and it was all fixed within two hours of me asking. This works like a " knife cuts through a butter ". You just need to re-index at System->Index Management after the product Installation and concerned categories are anchored and your system -> catalog -> layered Navigation options are set. just take only 5 minutes to set it. manadev.com's prompt response is gr8! so helpful. totally recommended it.. 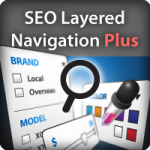 Needed multiple select layered navigation. I would be banging my head and doing lot of customizations if this extion wont be there. Thanks. Very professional work. 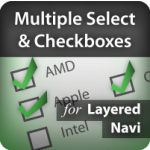 Really useful for multi select layered navigation. The installation process was very smooth, However afterwards I couldn't get it to show on the front-end. Since my navigation column is on the right. Copy app/design/frontend/base/default/layout/mana_filters.xml to app/design/frontend/[yout package]/[your theme]/layout/mana_filters.xml. In copied file, change <reference name="left"> to <reference name="right"> (3 times - for catalog pages, for quick search pages and for CMS pages). Save changes and refresh Magento layout cache. I also thought this extension would style the navigation but I was wrong. Thanks for this FREE extension. I installed this plugin in version 1.13.2 of Magento and works fine. Thank you. Everything functions as described as long as you do not have B2B Proffessional running. I do not blame anybody for this. I am just posting this here to make debugging easier for others. Maybe you have a solution for this as well. 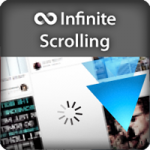 We've searched for a way to improve our layered navigation and tried this first. The extension almost works from the box on our tricky theme, the friendly (and fast!) folks at Manadev helped us to get everything working. The extension is doing exactly what is promising. I needed support twice for general questions that will help me to decide how to Implement the extension and both times the reply came within half an hour !!! And this was for free. This filter extesnion is very excellent and my wishes to the team. I wisht to share the issue which i face and troubleshoot. 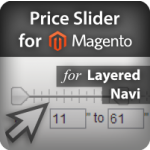 Price filter text change the default magento price filter. It shows (Rs 0- Rs 100) instead of (Rs 0 - Rs 99). I hope this issue will solve with this extension asap. Thanks and Congratz again for created the excellent module. I'm fully satisfied with this extension and support that Manadev team provided. I had some issues with my custom theme and configuration but all was solved by them quickly. Soo beautiful and quick out of the box. Wouldn't even think about using other layered navigation! 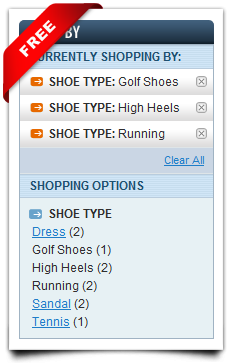 Worked perfectly in magento 1.9.1 , I am very satisfied with the features of this extension. Amazing ! Excellent extension, only one question... the meta title is auto setting to the category name, can i disable this?